Right Stuf Anime current Contests! Do you like free stuff? Well then you've come to the right place! Here at Right Stuf, we love to give away prizes. You might even agree that most of the time, the best Stuf is free Stuf! There’s always a contest to enter and you always have a chance to win! So try your luck at a giveaway and win the newest Anime or Manga! We might even have a limited edition item you can't get anywhere else! Right Stuf Anime Monthly Review Contest! 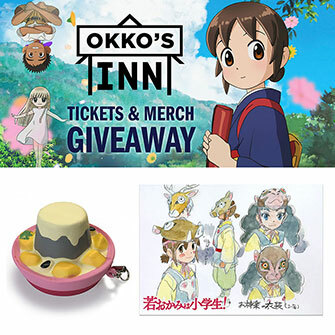 Enter to win 2 Tickets to see Okko's Inn in theaters and more!